Scratchduino is going to Kickstarter! 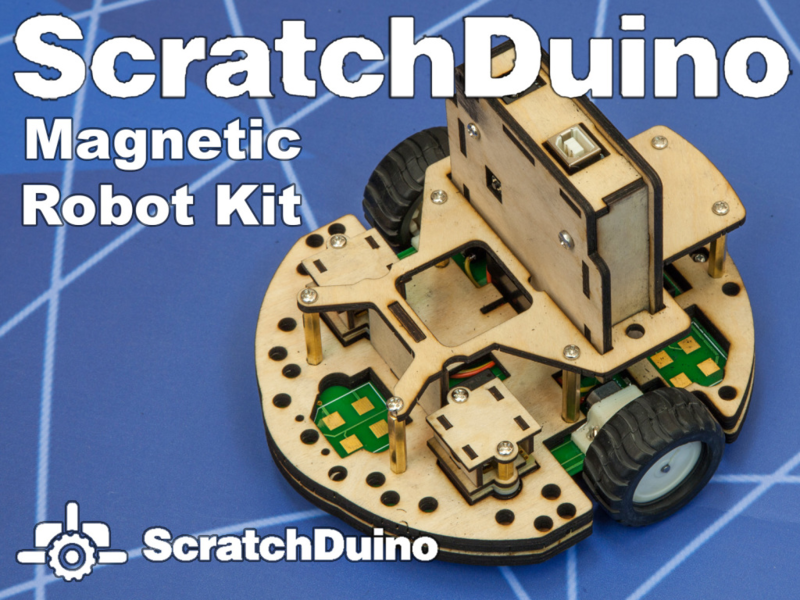 ScratchDuino, the Programmable Magnetic Robots Construction Kit is going to Kickstarter. Mezon.Ru, a winner of Google Rise Awards 2013 and 2014, is proud to announce the launch of kickstarter campaign for their programmable magnetic robot kit ScratchDuino. The goal is to raise$105,000 by October 24, 2014, and to start the serial production of ScratchDuino robots construction kits in Finland. Being completely open source, the ScratchDuino robots construction kit allows users to assemble robots utilizing the original set of parts, to modify their robots in a various ways, to program AI, and to share their modifications with STEM robotics community all over world. Kickstarter project set of rewards includes the robot kit with different versions of body, educational class kit with master class included, all blueprints and assembly schematics (on usb flash and downloadable) for those backers, who would like to create ScratchDuino from scratch completely. Dieser Eintrag wurde veröffentlicht in Crowdfunding, Education & Studies, English, General und verschlagwortet mit crowdfunding, Kickstarter, Robot, Scratchduino von Sebastian Trella. Permanenter Link zum Eintrag.